We are building an atmospheric water generator which can generate drinking water from the air around us. We built a proof-of-concept model and now we want to scale up and build a small prototype. Lets gear up for water sustainability! Approprice is the best ranked price comparison app with Smart Barcode feature. In-store customers can scan product barcodes to see lowest price in an instant. Support Approprice and be part of a plan to disrupt $700 Bn ecommerce and retail market. We are attempting to provide a digital platform that will allow event organisers to streamline event management and get easy access to services for fulfilling their requirements. Local businesses can use the platform to put forth their services. vChalk is technology to support low-income parents and teachers make sure all children learn the basics in the first years in school. 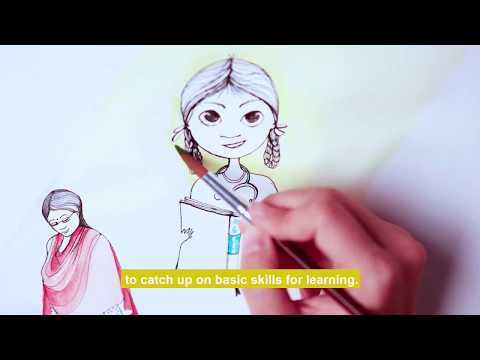 Watch the video and support our campaign in collaboration with IIM Bangalore! We created this app with a hope that in the era of mobiles apps, cleanliness would not lag behind. Everyone uses their smartphone to do errands in daily life. Then why not use a smartphone to help yourself & others to find a Dustbin or a Toilet? Help a school buy a computer. Join us in revolutionizing the way we search for information. PanGo lets you search multiple data, all in one go. Forget sorting data sheets and searching for information individually. Let's PanGo ! Clapoof is a mobile app that rewards students for not using phones during the class. Simply be in the class, lock your phone, and start gaining points. Now redeem these points at local shops, businesses for great money-saving student discounts. Ours is an E-com website which deals in customised Silver jewellery. 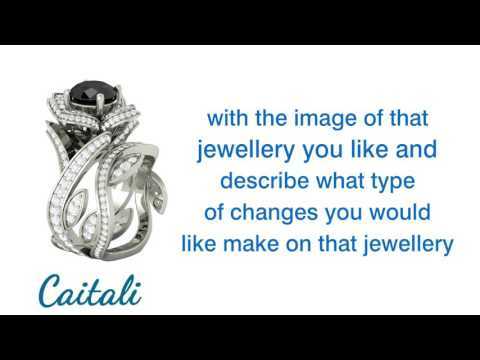 Did you know how hard it is to find our desired jewellery with the exact gemstones color and metal plating and that too at reasonable price?At Caitali all your needs will be solved. In today's world, it is important one attends Conferences, Exhibitions, Workshops and Webinars. 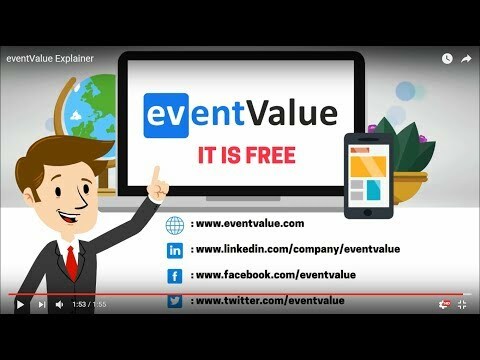 eventValue is a Web and Mobile App that helps people Discovery Professional Events, Network with Attendees and Access Content of various events. Three children aged 10-13 stood first among 40 teams and will represent India in prestigious Robocup-2016 in Leipzig-Germany. Robocup is the most prominent & largest competition in the field of Science & Robotics with participants from 60+ countries. As we know, one of the major reasons for increased accidents is due to driver falling asleep or getting distracted. So, we have come up with a reasonable cost device that can alert driver and keep the journey safe. 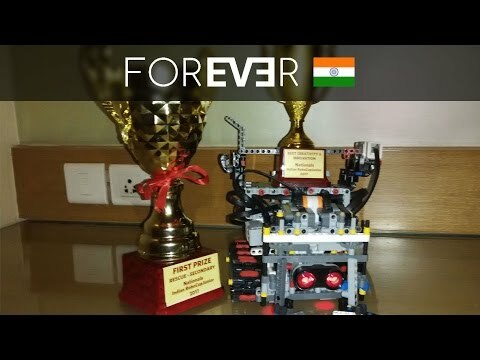 We are Forever EV3 – the Indian National Robotics Team for RoboCup 2017. We have been awarded the title of National Champions and now, we need your help to bring the International Champions Trophy to India. We are Team Automatons, a Robotics research and Development team of college students from PCCOE, Pune. We are developing a Quadruped (four legged) robot, which may prove to be a great help during rescue operations and for military purpose. An intelligent unmanned and autonomous marine robot capable of monitoring water quality parameter's, pollution tracking, surveillance operations and surveying in hard to reach shallow water locations without jeopardizing human life, time and effort. VISIONAUTS, a team of enthusiastic engineering students from Lovely Professional University, has successfully registered for NASA Human Exploration Rover Challenge 2018. Teams need to design,build and manufacture human-powered, collapsible vehicle. A Simple, Portable, and and Elegant Accessory that you have been missing until now for all your devices. Help my organization for Blood donation to needy peoples. Just Parked..The perfect solution for the urban parking crisis! Let the world be your parking ground. Just Parked-The urban parking solution focused on solving parking problems in metro's. Reserve your parking before you start your travel. List your driveway,when not in use,to earn extra income. India a country united with different local languages, culture and history but we often fail to understand the same. Maybe because of no tour guides available or the price is too high to afford for normal travelers. We solve it in the most fun way. DIY wind mill kit to understand the energy conversion laws of physics for kids! We are the Team MH-08 Racing: A formula student team from Rajendra Mane College Of Engineering & Technology, Ratnagiri. Now the team is aiming to compete in International Formula Student Competition representing India and making country proud. We are trying to create a platform which will help students to cut down the fees of their coaching institutes, colleges/university's. Cluster Green will be a platform helping farmers to find Land and help them lend land in simple steps for farm or farming related businesses. Cluster Green Units will help farmers in creating a Risk free farming model. An Enterprise with multiple businesses, will have multiple customer support channels for customer relations. Spiraldesk eliminates the need to use multiple systems and generates centralized reports based on the agents, entities and channels. I request to all to provide me around that much of money through the cloud funding because I have been very clear and been very close in building 'Inertia- Engine' the biggest invention in the history of mankind please. In India Silicon Catheter is being imported & sold @ 800 to 1200 per pcs, Our Interest is to make it available for Indian Patient @ 250/ per pcs, Also by using Silicon Catheter patient is not going through trouble of Pain & Infection. Empower poor indians to grow together!! I have a unique idea about providing a hygienic daily meal on time. This is a creative and unique solution to finding a good tasting meal. Hello Doctor is a platform that provides easy and convenient way to meet all your healthcare needs. Accessible online and through smartphones, Hello Doctor provides a quick and effortless system to seek and receive care. Technovanza is VJTI, Mumbai's annual and Maharashtra's largest techno-management festival. It was born out of the passion for taking Technology to the society. Technovanza conducts 60+ different events for promoting different sectors of engineering. 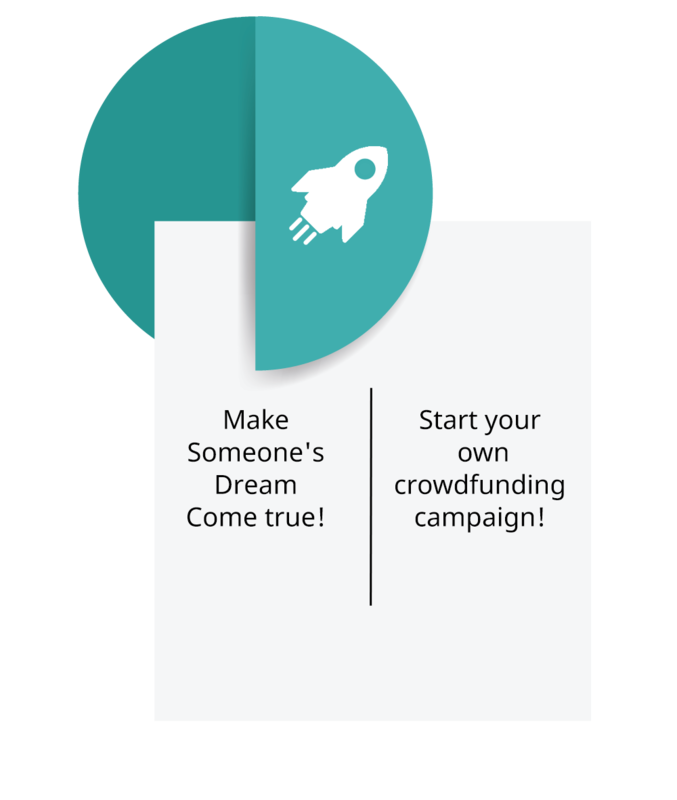 Support us building Human Planet, it is a social cause platform that will help bringing people together for creating social impact and help people collaborate, create, participate and contribute for social welfare and community development. At Fruitarians, we believe that when it comes to eating right, there is no I’ll start tomorrow. Instead of having to make runs to the supermarket or go to street vendors to do your fruit shopping, let us do it for you. Vahan is an app based platform that aims to be the one stop integrated solution for travelers requiring cab services and/or self-driven cars by providing real time comparison among the service providers in terms of price, availability, duration, etc. The main aim of this app, is to book metro train tickets through online payment as well as rechargeable E-wallets and receive an online receipt , which is used as key at the automatic checking terminal for entering and exiting the platform. Our product Green Porous Concrete (GPC) Pavement Blocks are eco-friendly. This will enhance the rainwater harvesting reducing the storm water in cities other than reducing heat islands due to the green grass cover on these permeable blocks. This campaign is directed towards raising funds for an unexplored opportunity in the advertising space. Ringing Rupee app is an interactive audio ad platform that rewards users for listening to ads while making or receiving a call. ‘BharatRojgaar’ will be an Indian job portal for non-corporate jobs catering to the needs of common Indians. This web-based application will cater to the needs of the large Indian population who have not yet been assisted by the existing job portals. To offer an digital device that screens ecological circumstances and conditions through different sensors and provides the ideal yields that can be developed in that specific circumstance or indicating what must be changed for better crop growth. I am Nikhil Jain, a researcher from IIT Bombay who is a strong believer in bringing the change for good in society. I am selected for 2017 HPAIR Conference in Sydney, Australia by Harvard University from over 1lakh+ applications from all over world. A small scale sky survey observatory looking out for Near Earth Objects (NEOs), monitoring the night sky every clear night. None of this kind exists in the plans of Indian scientific/professional fraternity we observational amateurs want to initiate. MAGNUS GENERATOR SYSTEMS 10000W magnetic Generator. Magnetic generator system are portable power station efficiently converting into the useable energy 220 volt output. These units are ready for large power loads. These units will act as power generators, only without the harmful and expensive fuels. Just imagine playing the role of the lead character in a movie you love. You drive all the decisions and enjoy slightly different versions of the classics. Maybe there’s a murder we added on the board in titanic or a nuclear weapon in the Avengers. MarketingLeo is an advanced omnichannel Marketing Automation system built for smart marketers who wish to track, manage & send personalized messages to their customers on any online channel in real time. WEcarriers - Social Shipping. Earn while traveling. WEcarriers is a peer-to-peer social shipping platform where travelers with extra space can offer to carry packages for people who need to ship things and travelers in turn make money for their services and sender can save time and money. Poor doctor to patient ratio in developing countries leads doctor-patient interaction to be brief & doctor's not being tech savvy, results in prescriptions to be handwritten & this is the most serious roadblock to Digital Health. 1 in 7 people worldwide are disabled. We build education tools that are accessible even to the disabled person at great ease. With AI, ML, NLP we can see things that we that we didn’t see before. Are you running out of storage on iPhone / iPad / Android? banf OTG Pen Drive is a creative device used to store Photos, Videos, Music & Documents directly from your mobile phone. Be a part of the next big revolution - Industrial Internet of Things. Invest and see how we enhance the capabilities of manufacturing industries through Big Data, Artificial Intelligence, Machine Learning. Help us make Smart Industries. Apps in Clicks is an app building platform which requires literally 0% of coding or technical skills, you can build and customize your app as per as your need with simple Drag and Drop Features. Due to the lack of practical & immersive learning, only 7% of engineers are employable. Concerning! So we decided to create a digital textbook called VROOK. It enhances the learning experience through Virtual Reality & graphical videos. We want to provide the better healthcare service in rural areas in India. Also we want to minimize the gap the between doctors & patients. I am in the process of designing an advanced domestic bio composter that will recycle kitchenwaste at home .It will help in converting waste to fertilizer. So avoiding resource from going to municipal waste dumping sites. Need Funds for development. This project is about a platform for foodies to share their food experiences, restaurants or cafes or street side food or home with a huge community of foodies. Providing free help to individuals in emotional distress. This campaign is for providing support to the individuals in emotional distress. The campaign money will go to the welfare of them. And also to the school campaign where we will educate the students How to tackle the Emotional Distress. My name is Rohit Kumar Singh.I am working on my campaign www.mitrah.in My motto is to give India to its first Social Networking Website. Indian RoboCup Junior Foundation announces the sixth year "RoboCup Junior" Competition in India. Various Regional competitions are being organized across India in December 2018 – January 2019. We invite students from your school to participate. Solar Electrification for sustainable Environment. We have a new startup ready which provides Solar installation services. Main aim of this campaign is to get a Solar street light and other production for a feasible price. We are aiming to design a standard product which has a price reduction of 20%. I am planning to set up library chains in semi urban cities where youths can avail the library services with nominal cost. I will start with single stop first then spread them in further such areas. Any investee wants to partner me is also welcome. We, a group of 5 students of Grade 8, participated in the North Zone Regional Finals-2 of F1 in Schools held in Genesis Global School, Noida from February 1-3 2019 and have qualified from amongst 108 teams for the National Finals.